Artist required for Logo/Website/Digital media. I am a Blacksmith/Knifemaker/Machinist/Welder with a small business. I fix tractors, make knives of all types, beat on hot metal for fun and perform complex machining on out of production parts for people in my area. I live on a property on the buttress of a mountain in the countryside of Australia. 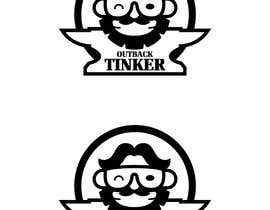 I am a bit of a jack of all trades hence my business name "The Outback Tinker". People describe me as somewhat eccentric and my spirit animal is the Goanna. I have a black and white Staffy that never stops eating (much like his owner), and there are cows littered throughout my property who sometimes walk into my workshop unannounced. Its not unusual for Kangaroos to be feeding around the place and i am forever chasing off snakes of the usual deadly Australian variety. I am currently putting together a website and require an artist for creation of website graphics for use on digital platforms (FB/Twitter/Youtube/Website/instagram) Therefore it would be ideal to have icons/headers/banners created for those platforms. 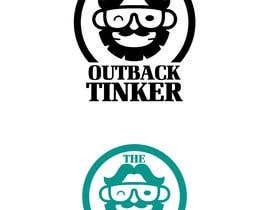 The crux of the work will be on logo creation also so i can use on business letterhead/stationary/Cards etc. All i have for you to work with is my business name and what i do. I would like to leave the creative process up to the artist. I can provide a basic idea of styling that i am after with whomever decides to take on my task. I'd like something kind of original in the spirit of my business. As this encompasses a few different types of media there will be a need for simple and complex designs. Also it would be beneficial if the artist could provide digital artwork in uncompressed formats so that resizing for other platforms is possible. I don't know if what i am asking for for what i am offering in this ad is sufficient and i hope the price doesn't come across as insulting to your craft (it happens to me all the time!). So if all of my requirements cannot be fulfilled with this ad then i would be happy to work with the artist for other parts of the works described here for more pay if required. The timeline is not urgent or required by any specific date. I will be creating the website backend and page layouts myself, as in a previous career i have had a fair bit of exposure to web technologies. Dear Sir Pls check my new entry # 27, 28, 29. with thanks.